Would you like to learn a new & exciting sport at one of the world’s best facilities? Flatwater, Movingwater and Whitewater. Each course is normally made up of 8 one hour lessons over an 8 week period. 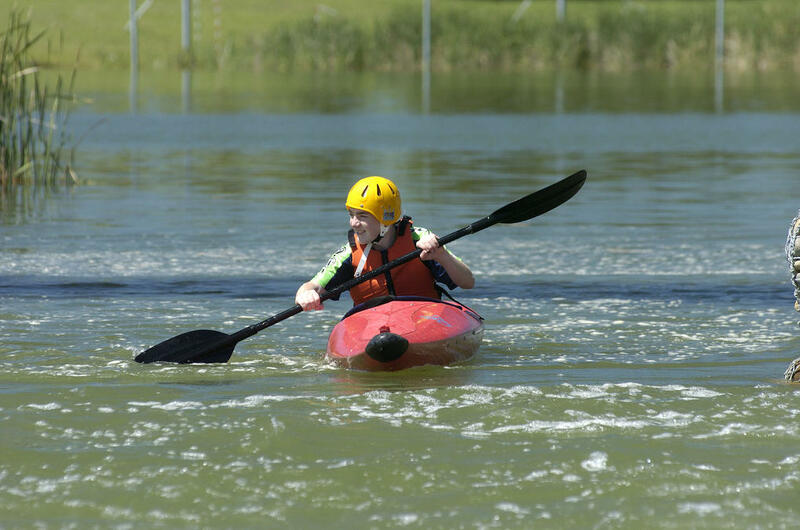 You may learn to kayak individually or as part of an organised school group and lessons are offered during school, after school and on the weekend. Students should be between the ages of 12 and 18 years. Parents will be required to complete a Penrith Whitewater Medical Form and ‘Acceptance of Risk Agreement’ on behalf of their child prior to the first visit by students. Movingwater Course: Completion of Flatwater Course. Whitewater Course: Completion of Movingwater Course and a strong swimmer. Progression to the whitewater channel is dependent upon the recommendation of the instructor and parental consent. Parents are strongly encouraged to visit the venue to familiarise themselves with the facilities and the courses. Penrith Whitewater’s enthusiastic and dedicated instructors are committed to providing a safe and enjoyable learning environment. We work on a minimum instructor to student ratio of 1:8 on the flatwater (1:12 recommended in the Guidelines for the Safe Conduct of Sport and Physical Activity in Schools) and a minimum instructor to student ratio of 1:6 on movingwater and whitewater. All Penrith Whitewater instructors are qualified to Australian standards. All participants receive a safety briefing before entering the water. At least two qualified instructors are present whenever a whitewater instruction session is taking place. Penrith Whitewater instructors are actively involved in their sport and include some of Australia’s best paddlers. The courses are intended to be as cost neutral as possible to enable maximum student participation. Prices may vary depending upon course duration and content. Flatwater instruction: $21 per person per hour. Moving & Whitewater instruction: $25 per person per hour. See our 'how to book' section for important booking information. 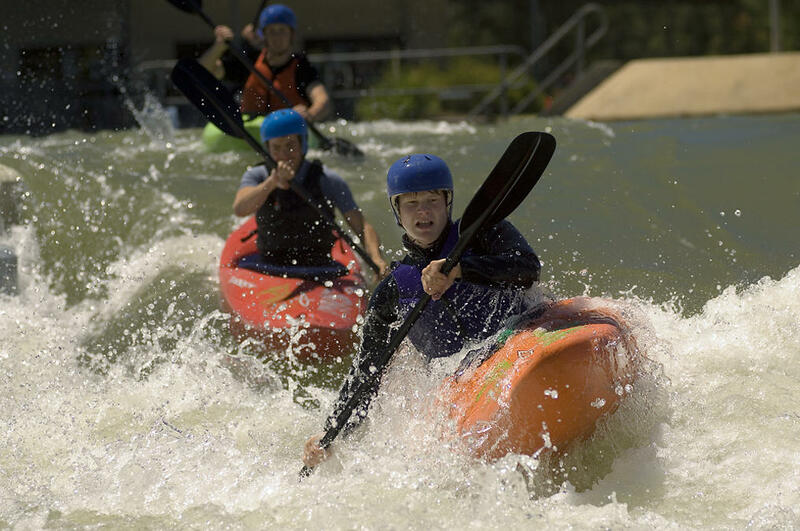 Penrith Whitewater's Junior Kayak Instruction Program - Term 2 2019 is proposed to commence on Saturday May 4th, 2019. This term will be a 5 week course. Each lesson is 90 minutes duration due to our winter break. Information, Enrolment and Medical Risk Agreement forms are available from our office or you can download them from the link, see below. If you prefer, we can email the forms to you.